We understand that countless parents have a tremendous struggle to find competent and safe caregivers and we are here to help! 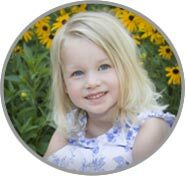 We recognize that our role as a Philadelphia Nanny Placement Agency is of enormous importance and we take each step of the process very seriously. It’s not easy to become an ABC Nanny and really, it shouldn’t be! We require a lot from our Philadelphia Nannies so that we can feel secure that we are providing unparalleled levels of safety and security for families. ABC Nanny Source will interview several applicants before we find a Nanny that we are able to accept into our database. We invest a lot of time and training into each of our Nannies and we consider each one carefully prior to being accepted. Each Nanny has had at least two interviews before becoming an official ABC caregiver. However, ABC's Philadelphia Nannies benefit and are rewarded by joining ABC Nanny Source because they are able to secure better positions based on the training and screening we require. You may be surprised that many Philadelphia Nanny Agencies, who have been serving the local community for several years, do not require the Nanny come to the agency for a face-to-face interview. ABC Nanny Source requires this stop before the candidates can be accepted. You would definitely be shocked to find that many agencies will only do the Nationwide Criminal Background Check after the Nanny has been chosen. In effect, this means a criminal could have been welcomed into your home! ABC Nanny performs the National criminal report prior to presenting the candidates to any family. Results are provided through certified priority postal mail upon hire to employer. Many nanny positions require the Nanny be at the very least available to drive on occasion. We feel it is important to know not only their driving record for safety purposes but this also can also be a good indication regarding the responsibility level of the candidate being considered. Results are provided through certified priority postal mail upon hire to employer. It is a true and very sad fact that there are many applicants who initially apply then suddenly change their mind when they realize a drug test is required by ABC Nanny Source. Every candidate must pass a 5-panel drug test to even get to the next step of the interviewing process. Results are provided through certified priority postal mail upon hire to employer. ABC Nanny Source takes every conceivable measure possible to be completely sure that the candidates we are allowing to represent our Philadelphia Nanny Agency are being completely forthcoming regarding their identification and citizenship and therefore a Social Security Verification Trace is performed on every candidate. Results are provided through certified priority postal mail upon hire to employer. A picture is worth a thousand words! Each profile has a photograph of the nanny candidate taken at the staffed recruiting location at the time of their face-to-face interview. Candidates who apply to become a Philadelphia Nanny with ABC Nanny Source must submit to electronic fingerprinting which is fully scanned into their profile. You truly can’t be too careful when it comes to your children. We have fingerprints for every Nanny that has ever come to our agency on file. Results are provided through certified priority postal mail upon hire to employer. Highlights of verification for each reference contacted are provided in the nanny profiles for you to review and consider prior to hire.